What do you do? And why did you go with this particular setup? My setup, like me, wears several hats, desktop publishing station, website creation. I chose most of my gear for value and quality on a budget. At the heart of my setup is a 2011 Mac Mini with a 2.5 GHz Intel Core i5, 16GB RAM, a 256 GB SSD boot drive, and the 500 GB standard that came with the machine piggy backed with a ribbon expansion cable available from Amazon. I’ve eliminated much of the speaker-wire clutter I had by purchasing a VIZIO S4251w-B4 5.1 Soundbar. I TRULY appreciate the simplicity of Apple’s gear, for me their stuff just always worked logically. 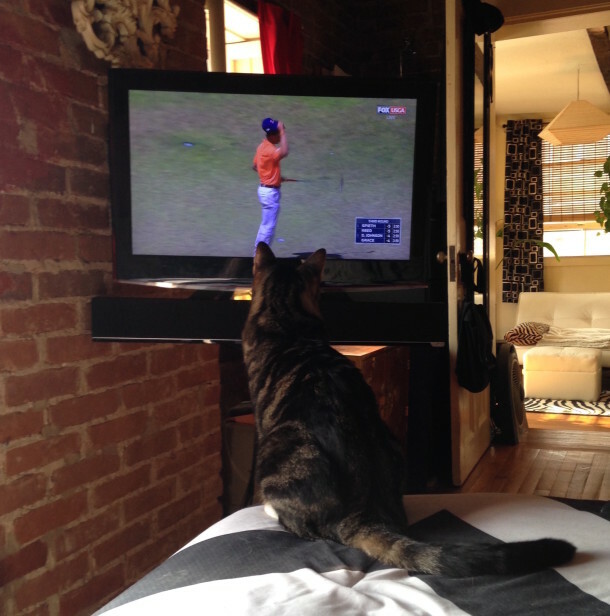 Vizio is another company that works like this for me. Every piece of gear that I’ve purchased from them has been a headache-free experience… if you do A then B follows, LOVE THAT! I also have a VIZIO S2920w-C0 29-inch 2.0 High Definition Sound Bar with Bluetooth connected to the bedroom monitor. I love the ease that I can stream music from my iPhone 5C via Bluetooth. Hit the Bluetooth button on the soundbar remote and it instantly pairs with the phone…you can even use the remote at that point for basic pause/play/next/previous track, Very cool! There’s a Home Theater PC (HTPC), and finally Apple TV all on two mirrored monitors, a 47” Vizio Smart TV in living room/office, and a modest 28” Westinghouse LED TV in my bedroom mirrored with a 25’ HDMI cable. I have a total of 6TB of storage on USB drives, I’m hoping to change this in the near future with a one-box RAID system that plugs via Firewire 800, but for now it works. I just love my Logitech Bluetooth Easy-Switch K811. Apple should have made this! Pairs with up to three Bluetooth devices. 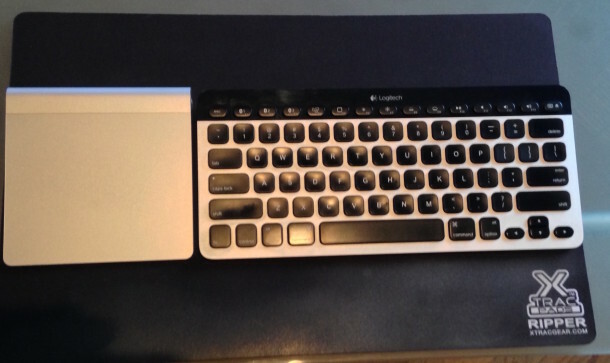 I have it paired to the mini plus both Apple TV’s (sometimes you need a keyboard). The backlighting makes typing easy as I am a site-typing-two-finger guy. What software do you use most? Is there anything you particularly like or couldn’t do without? I’m a VERY big user of the Adobe Suite. I’m running CS6 and use it most days, I couldn’t live without it! I’m also a HUGE lover of Elgato products. I’ve been using EyeTV daily for years now. 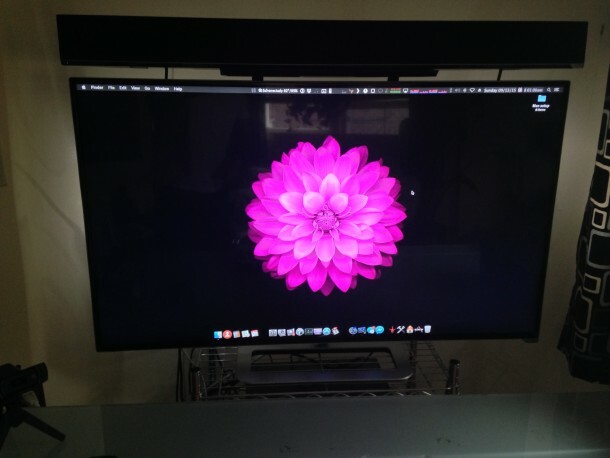 It quietly records in the background and exports 1080p versions to Apple TV with the help of the Elgato Turbo.264 HD. I rarely watch live broadcasts so this works for me. I’m a big Plex fan. I have the software on my Mac, iPhone, and now even on my non-jailbroken Apple TV’s via “OpenPlex”. I was overjoyed to be able to run Plex on my Apple TV, all of my content, including Plex Channels are now on both Apple TV’s with a simple tweak… check it out at: https://www.youtube.com/watch?v=333LPXZ26y8 It took a couple attempts but I got it the second time. Do you have any setup tips or helpful advice to share with OSXDaily? One of the things I did was add backlighting to the TV/monitor via a USB LED self adhesive light strip. Back Lighting is an eye saver for me in the early part of the day, adds just the right amount of ambient lighting when watching a movie in a dark room, and just looks very cool! The strip turns off with the TV as it is using it’s USB port for power. A $20 solution. I’ve been using Get Backup Pro for backing up all of my work to the USB drives and DropBox. I was using other backup software but for me simple and straight forward works best. The other SW companies seemed to be adding (IMHO) unnecessary little tweaks and then charging for the upgrades. In my search for a simpler solution I landed on Get Backup Pro and I’m glad I did, NEVER let me down, and it’s only $10. Now it’s your turn! Send us your Mac setups, go here to get started, just answer some questions, take a few high quality pictures, and mail it on in! 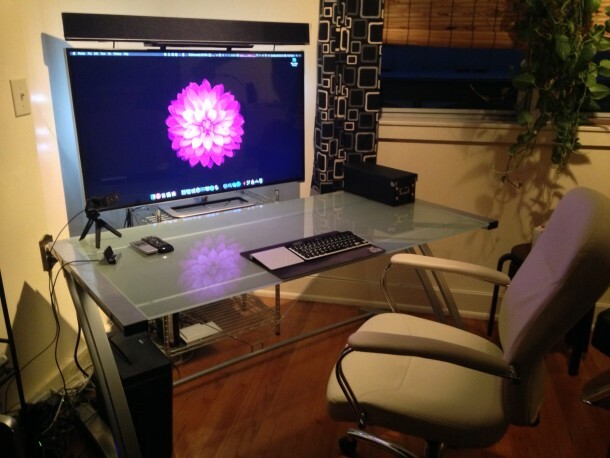 You can also browse through previously featured Mac setups here. Is a TV really good for a display? The pixel density isn’t very high. That’s what I was thinking and went looking for this TV to get the specs. First, it’s no longer available; Second, reviews don’t rate picture quality all that well, color, Dot Pitch and off angle viewing. Color and clarity are a must for DT Publishing. Having been in the publishing business since the the early ’80’s, I have had many various kinds of displays. Just lost my last 20″ CRT, gave 7 to Goodwill, and am using my first LCD for a main monitor, of 3, and hate it. Dot Pitch is too large, you have to be right down the middle or there is a dynamic color and intensity variance. The largest Dot Pitch I used to go was .23mm. So no TV’s are not good for mission critical uses, like DT Publishing. Gaming, no prob. You need a Pro LCD. I’m still looking.